Gosh, it's tooooooo sunny out there...and I'm exhausted! Back home, I felt like drinking something really cool...plain ice water??? errrr no! I want something chilled and sweet too...hehex! Luckily, the canned pineapple came to my rescue. What else, I just prepared some chilled pineapple punch...heaven! I didn't cook today as we were so busy with our MegaProject! hahaha...Don't plan to cook for next 2 days maybe...hikhikhik! Love .,..panazzzzzz..nak segelas!!! 2 gelas pun boleh ni!!!! Adoi.... macam tau je kak tie sedang kehausan nih! 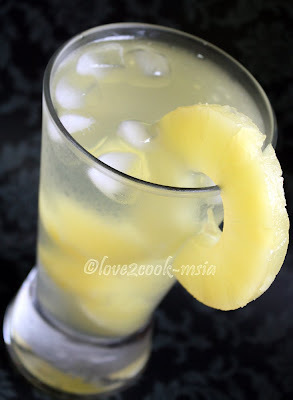 aduhai loveee....mcm nak pi pecut gi umah love nak minum pineapple punch ni!! cool...my favorite pineapple ..looks so so yummy! Its HOT here in Goa..and this looks sooooo refreshing..I wish i could reach out for this. k fae nak segelas... baru abis marathon satu dunia nie... tekak dh kering la....hahaha! Wow, loved your picture collage at the top..and this pineapple punch is very refreshing..visit us whenever time permits..
First time to your space , just browsed through your recipes everything is simply superb. Loved all your clicks as welll..I loved your collage work in the header... will be here often to enjoy ur recipes and clicks. 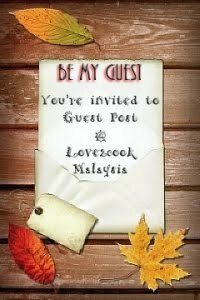 Pavithra ~~> Hi Pavithra, wow what a beautiful name U've got! Welcome to my page ya! So touched with ur compliments! All credits to my Hubby's DSLR which is working overtime for me! hehehe.